Credit Cards / New debt: Once you have applied for a mortgage, do not apply for new debt or credit cards, even if you do not plan to use them until after settlement. When you buy a home, you will undoubtedly buy items for that home; please wait until after you own the home! Review your credit report: Be proactive in the process by thoroughly reviewing your credit report with me at the beginning of the process and report any inaccurate or missing information so that we can address it accordingly. What is missing on your report today could show up later and derail your closing. Save everything: Save all of your bank statements, paystubs and credit card statements from time of application until closing. We may need them. Do not pack your financial papers: Keep all tax returns, W-2’s, paystubs, 1099’s, K-1’s, bank statements etc… in an accessible place – not in POD somewhere in Timbuktu. You never know what you may have to provide at the last minute with the new guidelines. Be prepared! Gift Funds and Large deposits: Based on the new rules, we will need a more detailed paper trail on gift funds and large deposits that are not consistent with your normal deposit pattern. If you are receiving a gift, we will need to verify that you have received it and that the donor has the ability to give those funds. Large deposits will have to be sourced; be prepared to show and explain where that money came from. If it was from a bonus, have the check ready. If you sold a car, have the bill of sale and a copy of the title transfer. Changing Jobs: This one may seem obvious, but if you are planning to change jobs during the loan process, please inform me ASAP. If you are forced to change jobs, inform me immediately. You will sign a final application at settlement. When you sign it, you will be verifying the information that it contains. Do not commit mortgage fraud. 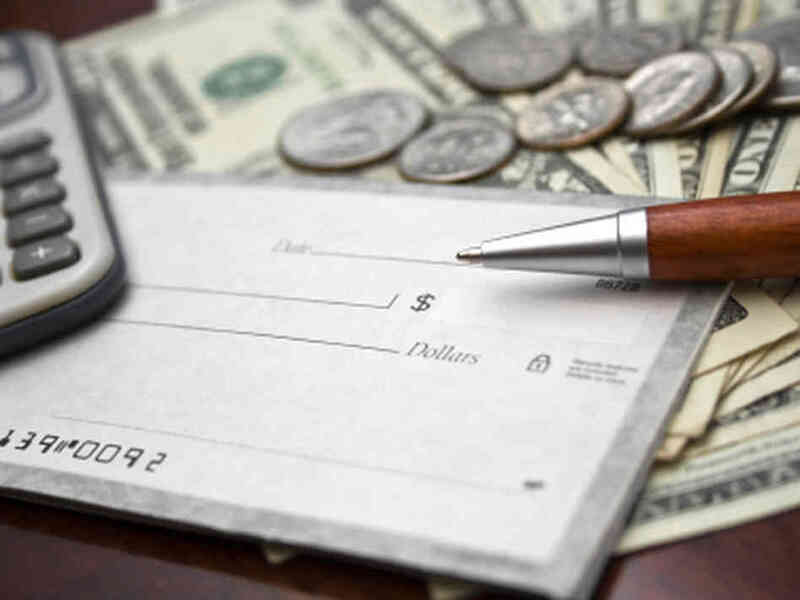 Do not move cash around: Lenders must verify all funds for closing and the source of those funds. When you move those assets around, it creates a paper trail nightmare. The best practice is to leave everything where it is. Once we have verified all accounts and given you the ”ok” , then you can commence shuffling funds. Finally, when in doubt, contact me to ask. Do not take any chances with the approval of your loan. If additional verification is required, it will in most cases, delay your closing. What You Need To Know About A Mortgage… BEFORE You Get One!!! Mortgage companies are in business to make money by lending money that is secured by an asset large enough to sell and recover their capital if the borrower is no longer able or willing to pay the payments. They are not in the business of owning property and would rather not have to foreclose on a loan, repossess the property and sell it to recapture their capital. This does happen but it is not their primary business. They would rather have their borrowers make their payments so that they could collect the interest and move on down the road. To increase their odds of that happening, mortgage companies look at several areas of your financial history to determine if you will meet their standards. This is called Qualifying for a Mortgage. What the mortgage company finds when they look at these areas will help determine the type of mortgage that is available to you and the interest rate you will pay on the money that you borrow. Lenders want to know if you have been in your current job and/or profession for at least two years. They also want to know if you are retired or self-employed. 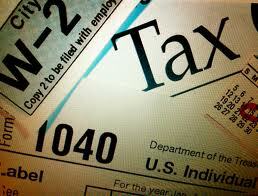 Mortgage lenders want to know how much your monthly income is before taxes are taken out (Gross Monthly Income). Typically you will be asked to provide check stubs for the last 30 days and Federal Tax Returns or W-2’s for the last two years to prove your income. If you are self-employed and it is difficult for you to prove your gross income to the lender you may be able to get a “stated income” loan. If that is the route that you take, your income must be “reasonable” for your profession. Since stated income loans are riskier for the lender you will generally have a higher interest rate. Mortgage lenders really like it if you have a history of paying your bills on time. This is reflected in your credit report and FICO score. If you have “bad credit”, you are NOT automatically disqualified from getting a mortgage. Lower credit scores will increase the interest rate that you will be required to pay and sometimes that increase will be quite significant. You can have an awesome job with an income to make Bill Gates jealous and a great credit score but if you have already acquired too much long term debt you may not qualify for the loan you want. The loan you are requesting will need to be proportional to your ability to make the payments. Be reasonable with your house buying expectations – don’t expect to buy a lot more house than you can afford. The recent housing bust defined the term “house poor” and got a lot of people into financial trouble. Again, mortgage lenders would much rather you make your monthly house payments because everyone loses if they have to foreclose. The market place determines the range of interest rates available for any mortgage and the lending rates change daily. The specific interest rate you will pay is based on how well qualified you are and the type of loan you want. The most widely used score is the FICO score, the credit score created by Fair Isaac Corporation. Lenders use the FICO Score to help them make billions of credit decisions every day. Fair Isaac calculates the FICO Score based solely on information in consumer credit reports maintained by the credit reporting agencies. FICO credit scores range from 300 to 850. That FICO Score is calculated by a mathematical equation that evaluates many types of information from your credit report, at that agency. By comparing this information to the patterns in hundreds of thousands of past credit reports, the FICO Score estimates your level of future credit risk. 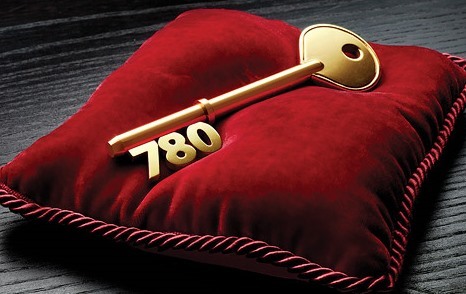 With the top end of the credit score being 850, anything above about 720 is considered excellent. Some local lenders set 740 as the benchmark for their preferred interest rates. Having a lower credit score DOES NOT mean you will not get a loan. You may qualify BUT your interest rate will be higher than someone with better credit. How Big Is Your Down-Payment? 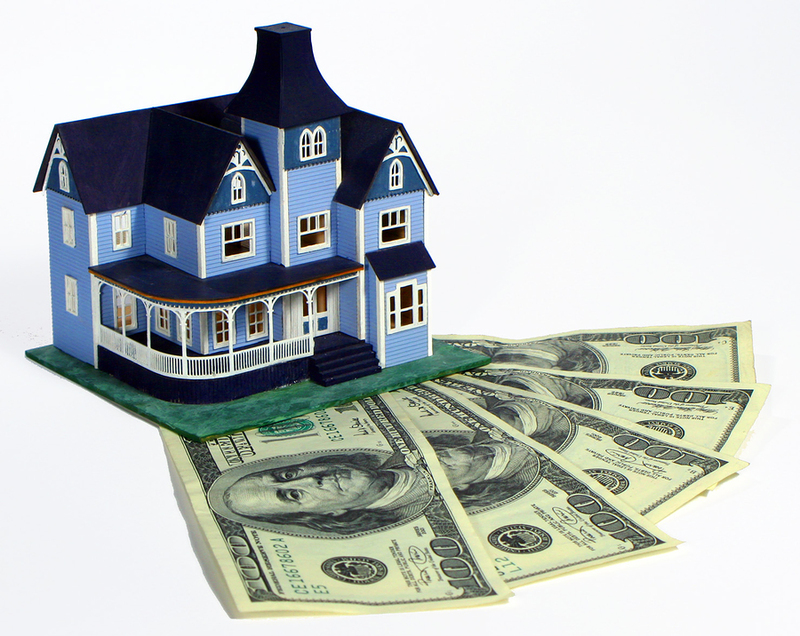 The Down-Payment is the amount of your own money you are going to put into buying the property. The more money you put into the property on the front end, the lower the risk of you not paying the payments. The amount of your down payment also directly affects the amount of your loan (purchase price – down payment = loan amount). This is called the Loan to Value Ratio (LTV). The LTV is the percentage of the value of the house that the mortgage will cover (loan amount / purchase price x 100). For example, the property you are interested in buying is selling for $100,000. You have $20,000 for the down-payment and want a mortgage for the other $80,000. The LTV for this mortgage is 80%. Similar to the LTV is the Combined Loan to Value Ratio (CLTV). The CLTV is used when 2 loans are used to finance the home purchase. You may see or hear terms like “80-20” or “80-15-5”. This refers to the 1st lien percentage (80), the 2nd lien percentage (20 or 15) and the down payment percentage (5). 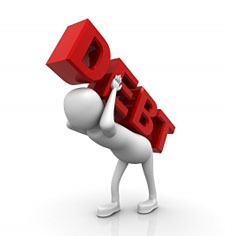 Your Debt to Income Ratio (DTI) is the percentage of your income that you owe in debt on a monthly basis. For example, if you make $5,000 per month, and have debt payments (car loans, credit cards, student loans, etc.) of $2,000, your DTI ratio is 40%. The higher this ratio is, the less likely you will be to qualify for a low interest rate. These are just general guidelines and everyone’s personal finances are unique. To get the real answer about how well you qualify and to determine how large a mortgage a local lender will offer contact one of our preferred lenders and visit with a loan officer. when qualifying for a loan. I am a Dave Ramsey fan and I believe in paying cash but even Dave concedes when it comes to buying a house. In Financial Peace Dave calls the FICO score an “I love debt score” and brags about not having one. He even tells a story about trying to rent an apartment and he couldn’t because he doesn’t have a FICO score. He then says, “I can’t rent an apartment because I don’t have a FICO score… I could write a check and buy the whole complex but I can’t rent an apartment because I don’t have a credit score!” Which is a great story for someone that CAN write a check and buy the whole complex… The rest of us need to maintain a really good credit score. Looking for a mortgage, auto or student loan may cause multiple lenders to request your credit report, even though you are only looking for one loan. To compensate for this, the score ignores mortgage, auto, and student loan inquiries made in the 30 days prior to scoring. So, if you find a loan within 30 days, the inquiries won’t affect your score while you’re rate shopping. 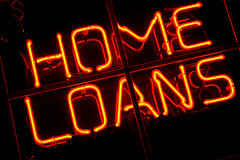 In addition, the score looks on your credit report for mortgage, auto, and student loan inquiries older than 30 days. If it finds some, it counts those inquiries that fall in a typical shopping period as just one inquiry when determining your score. For FICO scores calculated from older versions of the scoring formula, this shopping period is any 14 day span. For FICO scores calculated from the newest versions of the scoring formula, this shopping period is any 45 day span. Each lender chooses which version of the FICO scoring formula it wants the credit reporting agency to use to calculate your FICO score. 40 year fixed, 30 year fixed, 20 year fixed, 15 year fixed, 10 Year Fixed, Adjustable Rate, etc. All of these loan types have different interest rate ranges. Once you have completed a loan application, determined what type of loan you want and qualified for that loan you can “lock” the interest rate for that loan. Locking the Interest Rate means, for the period of the “lock” you are guaranteed that interest rate. Lock periods are typically 15, 30 or 60 days, although you may be able to get an extended lock period. 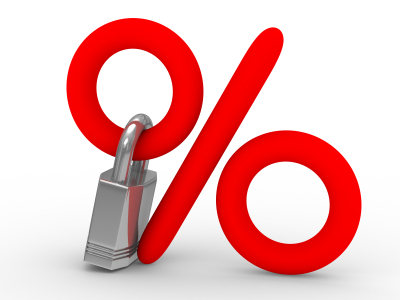 If you do not close on the loan before the lock period expires, you will NOT have a guaranteed interest rate anymore. And, the longer the lock period, the higher the rate will be. For example, a 15 day lock may be at 5.125%, a 30 day lock at 5.25%, and a 60 day lock at 5.375%. So, before locking your loan, be sure you are not locking for too long a time or for too short a time. Interest rates fluctuate daily and may go up or down. By locking your rate, you are betting that rates will go up in the future. What does “Buying Down” the Interest Rate Mean? You can reduce the interest rate on your mortgage by paying “points” at closing. A point is 1% of the value of the loan, so a point on a $200,000 loan is $2,000. If you “buy down” you loan to a lower interest rate you will have lower monthly payments and pay less interest over the life of the loan. However, “buying down” you loan to a lower interest rate means more money out of your pocket on the front end when you close the loan. You should do the math and weigh each side of the equation before making a decision about buying down the interest rate or not. What Are The Closing Costs and Fees? Those charged by the mortgage company and/or mortgage broker, those charged by 3rd party vendors, those charged by the Title Company, Escrow Company or Escrow Attorney and Pre-Paid Charges. These can include loan origination fees and Broker fees which are usually a percentage of the loan amount; administrative fees and application fees, processing fees and underwriting fees. These last fees usually run from $100 to $500, and ALL of them are negotiable. These are charges collected by the lender and paid to outside companies that provide a service. These are not usually negotiable and can include appraisal charges, flood certification fees, courier charges, document prep fees, mortgage lender attorney fees, etc. These are the fees charged by the Title Company, Escrow Company or Escrow Attorney. They are usually set by the state and are not negotiable. These charges include title insurance, attorney fees, state/county/city registration fees, etc. If the lender will be establishing an escrow account to pay taxes and insurance, the buyer will pre-pay taxes and insurance to establish an escrow account and will pre-pay the interest on the loan until the end of the month in which the loan closes. Does The Closing Date Really Matter? The day you choose to close determines the amount of pre-paid interest you will have to pay. Closing at the end of the month means that you will pay less pre-paid interest. For example, if you close on October 1st you will pay 31 days of pre-paid interest. If you close on October 31st you will pay 1 day of pre-paid interest. It doesn’t matter what day of the month you close on, you will not have your first loan payment due until a month has passed. So, if you close in October, your first payment is due in December – you get November for free! 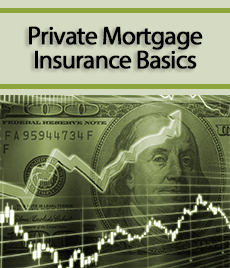 Private Mortgage Insurance (PMI) is required on all loans that have a LTV greater than 80%. PMI is an insurance premium that you pay every month as part of your monthly payment. However, PMI is not intended to protect you. PMI is insurance coverage that protects the mortgage lender against default on the loan. If you stop making your payments, the mortgage lender is paid a percentage of the loan amount (usually 25% to 35%) by the insurance company. “I have worked with Joel since 1998. He is a great loan professional.” I refer most of my Louisville, Kentucky area home buyers to him and he always take special care of them. What is the minimum credit score I need to qualify for a Kentucky mortgage in 2018? Credit Karma -“Free” isn’t good, and good isn’t free..
For my clients, I recommend either Privacy Guard or Credit Check Total to monitor their credit reports and scores. These sites cost about $20-$30 per month to access/track new credit reports and scores. This is the least expensive way that I’ve found to obtain new credit reports and scores that we use for our credit repair service. Privacy Guard uses a “Credit Xpert” score which is fairly similar to a “FICO score” that banks use to risk grade you for a loan. Credit Check Total uses a “FICO 8” score which is a generic consumer credit score. This is also very close to a score banks use to grade you. FICO has designed over 50 different scoring models designed for specific industries (mortgage, auto, credit card, etc..) which will all produce a different 3 digit score ranging from 300-850. Are you confused yet? If you’re thinking of applying for a loan/credit, go to MyFICO and purchase all of your FICO scores. Their cost is about $60 for all your FICO scores. This will be accurate information that will show you the same scores that the banks will see to approve or deny you. Share this post with anyone you know that uses Credit Karma! Source: Credit Karma -“Free” isn’t good, and good isn’t free..
What’s a good website to pull my credit report and score? What is the current minimum credit scores needed to qualify for a mortgage Loan in 2018? The minimum credit score needed to qualify for a Kentucky mortgage depends on the type of loan program you are looking to obtain, this could be the reason that you have received conflicting answers. The most common types of mortgage are Conventional, FHA, USDA, VA, and KHC mortgage loans in Kentucky. I’ll explain each briefly below and the minimum credit score needed to qualify for each loan program. Keep in mind these are continuously changing and can vary by lender do to credit overlays. Conventional loans make up the majority of mortgages in the US. They are also known as conforming loans, because they conform to specific guidelines set by Fannie Mae and Freddie Mac. Down payments as low as 3% and 5% depending on Home Ready or straight conventional loan. An FHA loan is a mortgage issued by federally qualified lenders and insured by the Federal Housing Administration (FHA). FHA loans are designed for low-to-moderate income borrowers who are unable to make a large down payment. Maximum Debt to Income Ratio of 50% (unless mitigating factors justify allowing a higher DTI) up to 57% in some instances with strong compensating factors. Debt to income ratios no more than 45% with GUS approval and 29 and 41% with a manual underwrite. Only Need a 580 Credit Score to Apply*** Most USDA loans need a 620 or score higher to get approved through their automated underwriting system called GUS. 640 usually required for an automated approval upfront. Must be eligible veteran with Certificate of Eligibility. We can help get this for veterans or active duty personnel. Minimum 580 Credit Score to Apply–VA does not have a minimum credit score but lenders will create credit overlays to protect their interest. Can use your VA loan guaranty more than once, and in some cases, can have two existing va loans out at they sametime. Call or email for more info on this scenario. Cost of VA loan appraisal in Kentucky now costs a minimum $475 with a termite report needed on all purchase and refinance transactions unless a condo. 2 year work history needed on VA loans unless you can show a legitimate excuse, ie. off work due to injury, schooling, education etc. You cannot use your GI Bill for income qualifying for the mortgage payment. Purchase price up to $282,000 with Secondary Market or $253,800 with MRB. Assistance in the form of a loan up to $6,000 in $100 increments. Repayable over a ten-year term at 5.50 percent. A DAP of $6,000 over ten years at 5.50 percent interest would equal a payment of $65.12. Available to all KHC first-mortgage loan recipients. Repayable over a ten-year term at 1.00 percent. Credit Scores For Louisville Kentucky FHA Loans. Credit Fico Score for a Kentucky Mortgage FHA VA KHC. As a rule of thumb, however, a credit score below 640 will make buying a home very difficult. A FICO score below 640 is considered sub-prime. In the past there were mortgage companies that specialized in sub-prime mortgages. Because of the challenges in the credit market over the last year or so, however, sub-prime loans have become difficult if not impossible to obtain. A FICO score between 620 and 650 is considered fair to good credit. But keep in mind, this range of credit scores does not guarantee you will qualify for a mortgage, and if you do qualify, it won’t get you the lowest interest rate possible. Still, to buy a home aim for a score of at least 640, recognizing that other factors weigh in the decision and that some banks may require a higher score.